IPSF office helping committee – K.N.P.S.V. The IPSF Office Helping Committee is an inter-city committee consisting of 3 members. 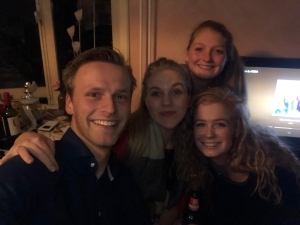 This committee is there to help IPSF with Dutch-language administration. IPSF has its main office and apartment located in The Hague. Because the board members often aren’t Dutch, they can run into problems that they can not solve because they don’t understand Dutch. The IPSF Office Helping Committee is there to help them out. For example, helping with the tax authorities by translating documents or requesting an explanation from an authority. IPSF greatly appreciates this help and this strengthens the link between IPSF and K.N.P.S.V. !